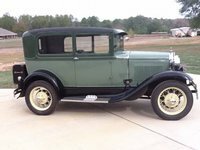 Start a new Ford Model A question. It was on a battery tender since January, 2019. I just unhooked it, put extra gas in and tried to start it. It turns over but just doesn't catch. Any suggestions? was the model a motor built in 1935? 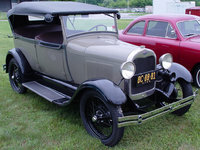 What type of original factory brakes does the 1930 ford model a have? I'm wanting to have better braking at the least expense. What would cause my 29 model A exhaust pipe between the exhaust manifold and muffler?